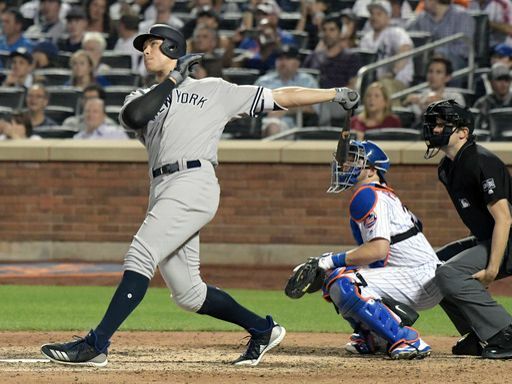 The Yankees were looking sluggish early in the second game of the Subway Series, but the Baby Bombers powered three home runs to lift the Yankees past the Mets and help German get past his poor first inning of work. German let the Mets get to him in the first as former-Yankee Todd Frazier crushed a solo-home run to open the scoring. A Brandon Nimmo triple was followed by an Asdrubal Cabrera two-run homer which gave the Mets a three-run lead. It did not appear German would last long, but he limited the damage to just three runs. Matz looked solid early on, but Torres got to him in the third as he blasted a solo-shot to give the Yankees their first run. 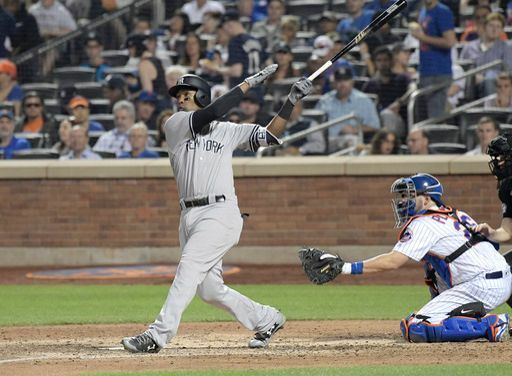 He continued to work in and out of some sticky situations, but was a victim of the long ball in the sixth as Miguel Andujar stayed hot and tied the game with a two-run home run. German was able to buckle down and throw a quality start, while striking out nine Mets. Robertson came on to pitch a scoreless seventh keeping the game tied. However, it did not stay this way for long as Judge continued his streak of clutch homers and blasted his 18th of the year to break the 3-3 tie. Betances and Chapman pitched scoreless eighth and ninth innings to secure the 4-2 victory and the Subway Series series victory. The Yankees will go for the sweep tomorrow night as Luis Severino takes on Seth Lugo on the national stage on Sunday Night Baseball.